Over the last months Little Prince’s flight abilities have markedly improved. With spring approaching fast he also became more and more restless and seemed very keen to leave. The latest good weather spell provided the release opportunity we were waiting for. 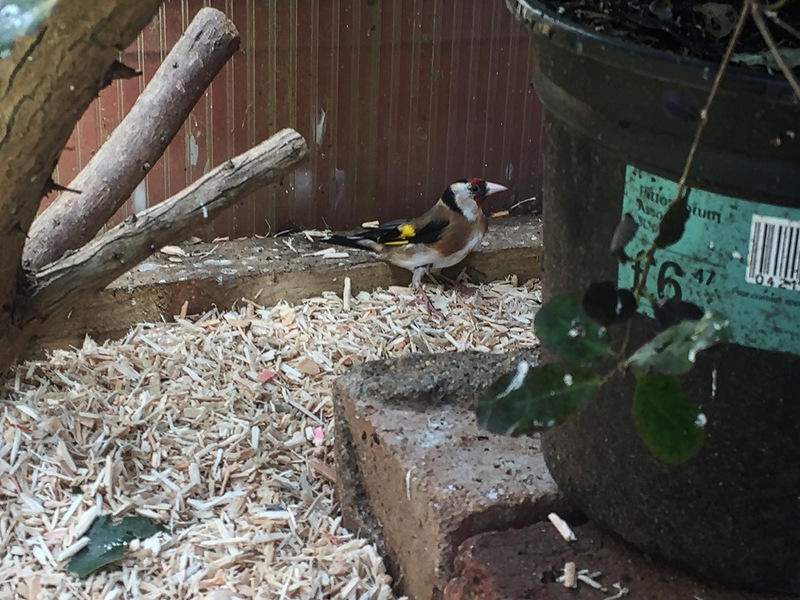 On the 14th April 2018 we opened the aviary doors to soft release our goldfinch Little Prince. Soft release involves continuing care for animals at the release site, particularly backup feeding and requires also a greater commitment of time and effort than a hard release. 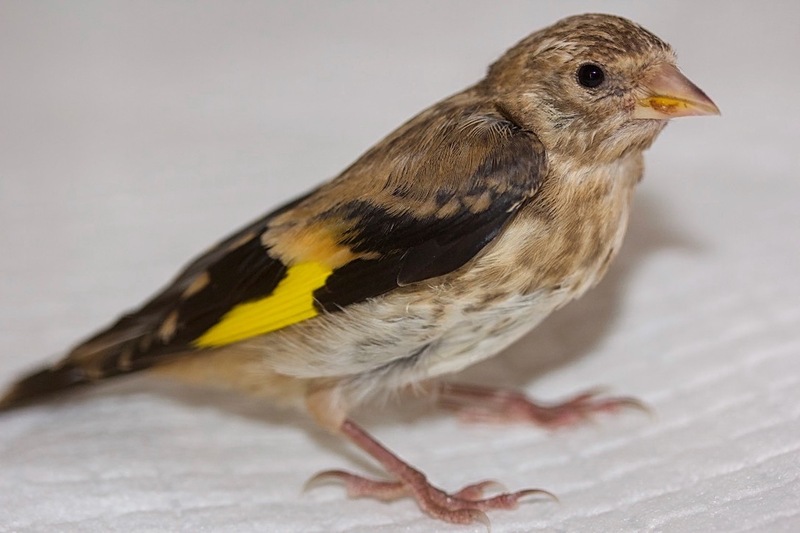 Soft release is particularly important for hand reared animals, particularly of species which need to learn about their surroundings or need to learn survival skills such as foraging and hunting. 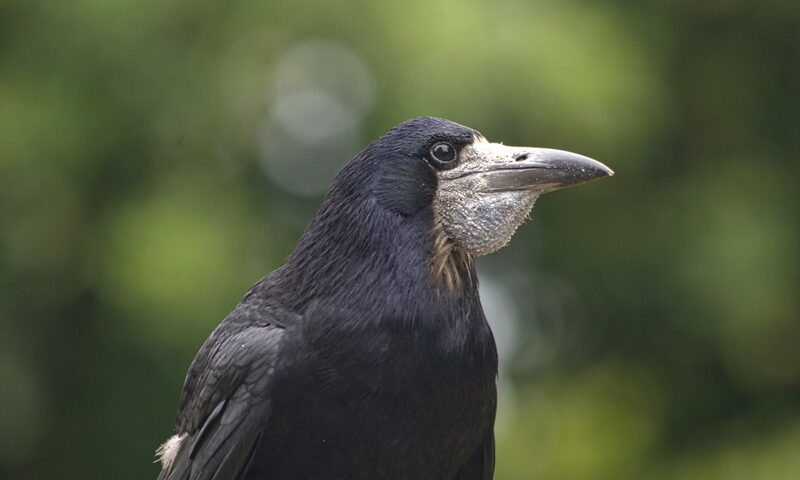 This method also allows previously hand reared birds to become fully independent. After the doors were opened, it didn’t take Little Prince very long to make his mind up. After a couple of minutes he left his temporary home and has been successfully released. Sadly, in particular during the nesting season, up to 75% of bird patients are admitted because they have been caught or injured by an unsupervised cat. It is also to expect that a large number of unreported cases do escape with minor injuries, or are being set free by cat owners, potentially resulting in prolonged suffering and death. 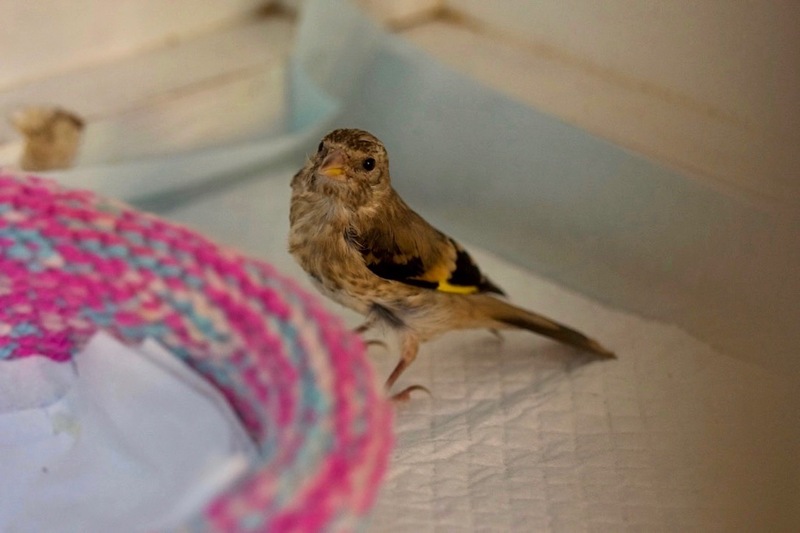 It is important to understand that no cat caught bird should be released but brought immediately to a veterinary surgery or specialised wildlife rescue, as these birds need antibiotic treatment to counteract the infection. Cat bites should be considered a dangerous injury, as the Pasteurella bacteria commonly found in the feline mouth are extremely hazardous to birds. Even a simple puncture by a tooth or a superficial scratch can result into a fatal infection, when left untreated. Cat predation is a major threat to bird populations, especially those already on the decline due to habitat loss. Please keep your cats supervised, for the safety of both, your pets and the birds.